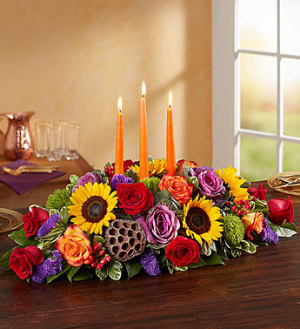 Autumn gatherings call for a grand centerpiece. 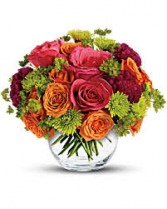 We’ve designed our luxurious arrangement with a mix of brightly-colored blooms and unique, textural accents, creating a truly unique table display. 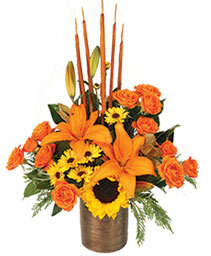 A trio of orange candles provides the perfect finishing touch, adding warmth and coziness to spirited celebrations with family and friends. Zen Harvest! 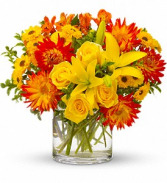 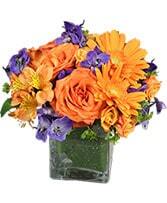 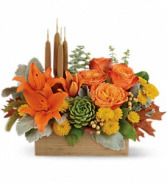 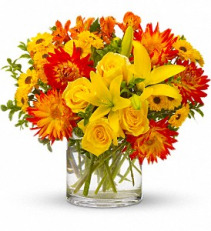 You can't help but fall into a deep state of relaxation when you feast your eyes on this striking centerpiece. 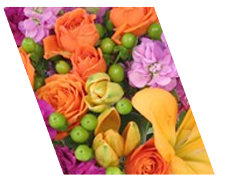 This artistic arrangement will enchant with shades of peach, orange and green - combining roses, lilies and even a succulent plant! Hand-delivered in a natural-toned wood rectangle. Thanksgiving activities will soon be starting. 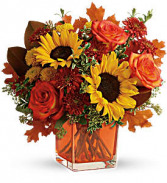 Give the holiday recipe a dash of autumn color by sending flowers online or shop for Thanksgiving table decorations, creative centerpiece ideas, and more at your local Allen flower shop, Lovejoy Flower and Gift Shop! Brighten your Thanksgiving turkey dinner with unique floral arrangements, like a table centerpiece for the host, cornucopia fruit baskets, contemporary floral vases or baskets of fall flowers. 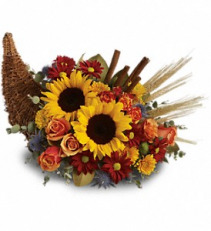 Let your holiday florist, Lovejoy Flower and Gift Shop in TX bring warm smiles from across the miles at this year's Thanksgiving celebration!